If you’re looking to amp up the flavor of anything you make with brown sugar, give muscovado sugar a try. This deeply flavored unrefined brown sugar made from reduced cane juice is super-dark and moist, with a strong molasses flavor that is almost coffee-like. The sugar comes from the island of Mauritius, where the sugarcane is grown in volcanic soil; India Tree is most widely available brand. 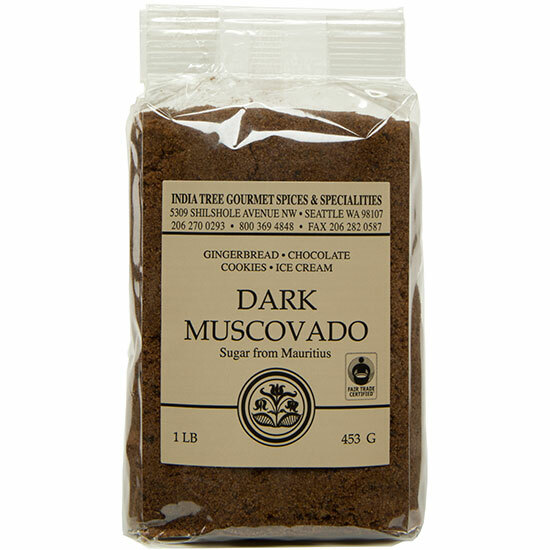 Muscovado is especially good in richly flavored baked goods, like gingerbreads, bran muffins, oatmeal cookies and brownies; in desserts like Bananas Foster, coffee pudding or flan; in rum-based cocktails, and also in barbecue sauces and sweet dry rubs for pork. Here are a couple of recipes to try it in—a delicious gingerbread from the awesome Hi-Rise Bread Company in Cambridge, Massachusetts, and my favorite quickie barbecue recipe that can be made with pork or beef, in which I substitute muscovado for the molasses that’s called for: BBQ Pork Sandwiches with Five-Vegetable Slaw.